The «Lac de Mayen Bike» is an easily accessible, 11 km loop along forest paths and across meadows. Moreover, it passes next to refreshment stalls offering a welcome break and famous, home-made tarts. 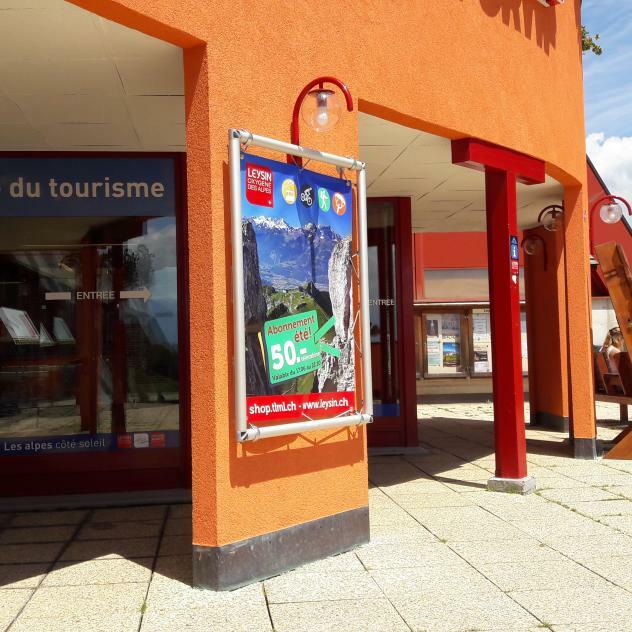 The itinerary starts in the village centre leading up to the upper village and then uphill to the Lac de Mayen. After passing Carrière des Chamois, you will cycle along a forest road offering a panoramic view of the Diablerets Glacier and Pic Chaussy before reaching the destination at an altitude of 1,848 m.
The Lac de Mayen is located at the foot of the Tours, the emblematic mountains of Leysin. There are countless little spots that are ideal for picnics and a break, where you can observe the marmots and ibex living in the rocks a few metres from the lake. The return trip down to village crosses pastures and features a few bridges and footbridges that add to the fun of the ride. The «Lac de Mayen Bike» itinerary presents an ideal combination of MB, fauna observation and gourmet stops. Come and discover the region and take advantage of the oxygen of our Alps with your friends or your family! In bad weather conditions, the paths may be slippery (roots, bridges, gravel, pastures). Careful: certain places at a higher altitude, crossing the pastures may present certain difficulties.